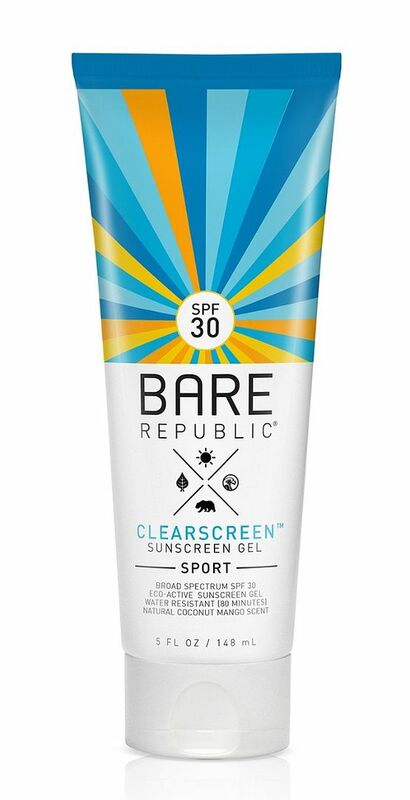 It’s very clear…you should check out Bare Republic Clearscreen Sport Sunscreen Gel! It really is clear with a gel or thick serum consistency that is absorbed very quickly. You won’t see a trace of residue or oil on your skin, only a mild, sweet scent, described as their natural coconut mango scent. Don’t worry though, the active ingredients are designed to protect you from those bad UVA and UVB rays. This sunscreen maintains it’s protective properties even after 80 minutes in the water and is eco-friendly so you know you won’t be harming the ocean by stepping into the water. Plus it’s free of oxybenzone, octinoxate, synthetic fragrances, petroleum, and parabens and carries the trusted Cruelty-Free logo. As they say, “go bare outside” with Bare Republic Clearscreen Sport Sunscreen Gel!